There are times when you witness wildlife and it more or less leaves you breathless. 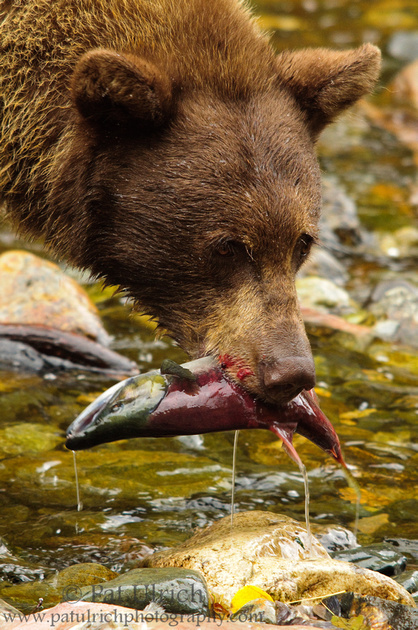 Our encounter with the black bears feeding on Kokanee Salmon in Taylor Creek this weekend was one of them. Thanks to some great shots posted by Tory Kallman and John Wall, I knew this was an opportunity that was just too cool to pass up a chance at seeing. We arrived in the area on Saturday afternoon, and spent the rest of the day sitting along the creekside hoping for the bears to appear. Unfortunately, there were no sightings to be had, and instead we were just left with the smell of many dead salmon wafting through the air. To make it worse, the rangers mentioned that the bears hadn't shown up in a few days, and we started to wonder if we had picked the wrong weekend to come or had missed the chance to see them altogether. With heavy rain showers in the forecast for Sunday we were resigned to enjoying the many other features of this area and figured that a day spent chasing landscapes and autumn colors would suffice. However, we just had to make a quick trip back to the creek before setting off on a trip around the lake on Sunday morning. And just by chance, within 15 minutes of parking and watching the salmon, there was some excited activity up along the road. The bears were back, and soon enough they made there way to the creek and really put on a show! 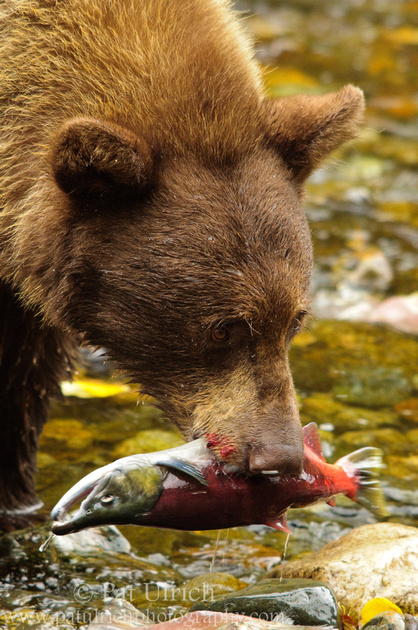 Here are two shots of the mother bear with a male Kokanee salmon that she pulled from the stream. I have a lot of sorting and processing to do, but there will certainly be more bears in the future of this blog! Pat, that top shot is a real prize. Well worth the waiting. Way to go! Great pictures. You really took advantage of that sighting! Thanks, everyone! This was really an incredible encounter, something I definitely won't forget anytime soon. And thanks again, John, for the helpful information! Great photos. Seeing these photos I first thought Alaska and am blown away that this is here in Tahoe. Fantastic all around. Thanks, Jim! I was amazed that you could see this in California as well, so I had to jump at the opportunity to witness it myself!